Stealth is the art of travelling undetected, of being invisible. Stealth technology allows military aircraft, Ninjas, and malware to sneak up on the enemy to launch an attack, gain intelligence, or take over systems and data. 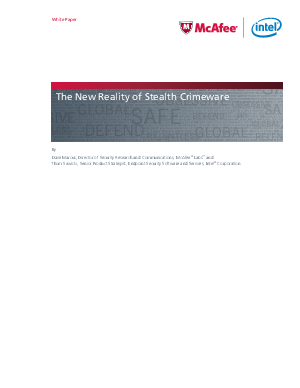 This white paper examines stealth crimeware and explains why enterprises will need to adopt new anti-crimeware that moves beyond the traditional operating system.